When we say all vehicle types, we really mean it. Mazda and Nissan owners have received full service and repairs to industry leading standards wherever the work needed to be done, when they needed us to be there. 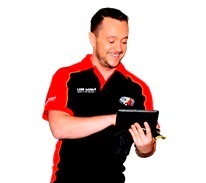 Happy clients in Brisbane South who have already experienced the ease and convenience of on site vehicle repair and service work have given us over 49 positive reviews. These are just some of the reasons why we have maintained our excellent service history and kept our customers. 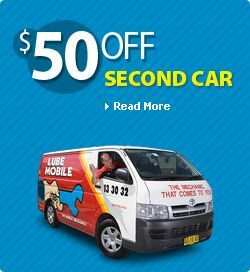 Receive a high quality service on your vehicle at the time and place that suits you with on of the 33 Lubemobile mechanics in Brisbane South. Everything was fixed to our satisfaction thanks. Jake was very knowledgeable polite easy to hear and understandable when describing the fault and the repair. I would recommend Jake in the future to anyone. Thank Jake for me le let him know his score in the survey and Merry Christmas and a Happy New Year to all. As fully prepared and experienced motor specialists, our mechanics arrive at your preferred location with what they need to service your vehicle, no matter what the make and model. In your area our mechanics have commonly serviced Toyota, Holden and Ford. Servicing all vehicle types on site, our most recent services in your area have included Citroen, Alfa Romeo and Holden. Any and all parts required for your vehicle are sourced quickly, our mechanics choosing only the best part available at the highest quality like leaf springs, engine mount and power steering. We are Lubemobile, the fleet of mobile mechanics providing high quality vehicle services all over Australia and available wherever your vehicle needs us. For cars located in Algester, you can have a fully equipped mobile mechanic at your preferred time for a full service, including parts replacement. We fully service your local area including Algester, Parkinson and Richlands. Lubemobile’s fleet of mechanics have serviced over 1,619 vehicles in your area throughout the past 3 months and the most common type of vehicle service in your area is Log book servicing. As completely mobile vehicle specialists, our fleet will arrive fully stocked to tackle any kind of service that your car requires including greasing wheel hub bearings , on-site tyre replacement from our fleet of specialist tyre services, and fuses inspected and replaced.